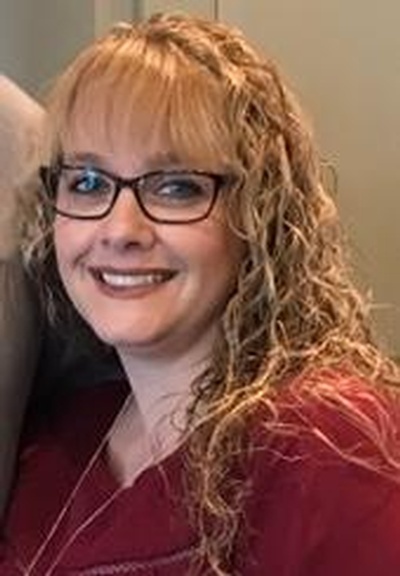 Amy Michelle Cox, 41, of Ladonia, Texas, passed away Friday, September 28. She was born on April 13, 1977, in Garland, Texas, and married Robby Cox on June 6, 1998, in Wolfe City, Texas. Mrs. Cox graduated from Lone Oak High School and Texas A&M University-Commerce, later receiving a Reading Recovery teacher certification. After high school, Amy became a “Lone Oak Bank Kid”, working there all through college. She thrived at Wolfe City Elementary for 20 years, teaching Pre-K, Kindergarten, First Grade and Fourth Grade. Currently, she was teaching First Grade where she was loved by all her students, past and present, as well as her co-workers. She is lovingly survived by husband Robby; daughter, Sydney Michelle Cox; son, Riley Cox; mother, Glenda Weeks; father and mother-in-law, Bobby and Lisa Cox; grandparents, Jean Clifford, Glenn & Ione O’Neill; brother & sister-in-law, Cody & Leah Cox; uncles, Mike O’Neill and Mike Clifford; aunt, Cathy Clifford; cousin, Colton O’Neill; nephew, Cody Wayne Cox; and niece, Molly Kate Cox. Mrs. Cox was preceded in death by her grandparents, Herb & Liz Vice, and Bob Clifford. Funeral services will be held Tuesday, October 2nd at the First Baptist Church in Wolfe City and will be conducted by Bro Tim Hearn. Burial will follow in the Mt. Carmel Cemetery in Wolfe City. Pallbearers are Colton O’Neill, Mike O’Neill, Bobby Cox, Cody Cox, Jake Caldwell, Phil Tanner, Cody Wayne Cox, Eddy Norton, Clint Norton and Cody Malone.